Figs. 1-4, 6-8. 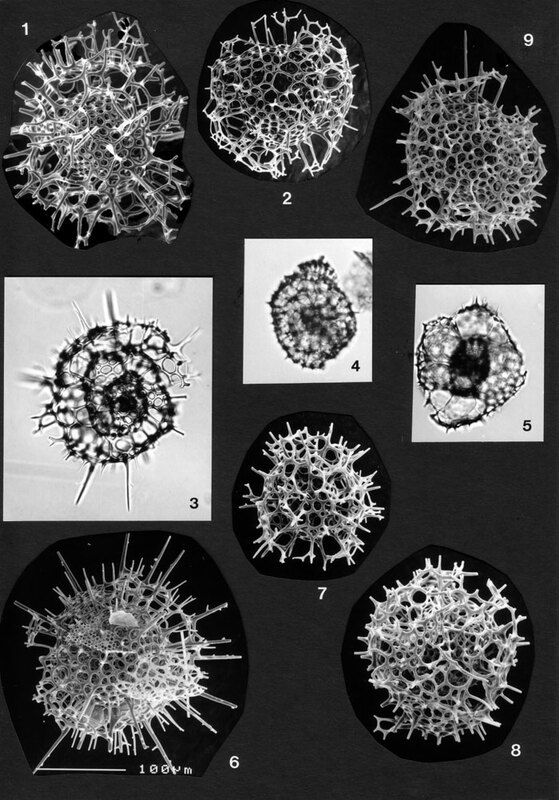 Various morphologies of Phorticium octopyle. BSS 28B(I/1316), BSS 28B(II), BSS 21B(F) EF S26, BSS 20B(F), BSS 28B(II) (4x). Pore size increases with distance from the center, especially in the last whorl. Fig. 5 Phorticium ? sp., BSS 25B(F) EF J29. Note clearly definable whorls, gates, and Tetrapyle-like central structure.